뭄바이 - 뭄바이에 있는 호스텔. 뭄바이의 지도, 뭄바이에 위치한 호스텔 사진 및 후기 정보. 뭄바이에 호스텔, 저렴한 호텔, 아파트, 게스트 하우스, B & B를 찾고 계십니까? 뭄바이의 모든 최고의 가격은 kr.Dorms.com안에 있습니다. 매달 수천명의 여행자들이 이곳에서 예약을 진행하시듯이 고객님도 뭄바이의 저렴한 가격에의 호스텔을 안전하게 예약하실 수 있습니다. 웹사이트에 고객님이 원하시는 핫 트렌디 시내 주변의 호스텔을 쉽게 찾을 수 있으며, 대학가, 기차역, 공항, 모든 뭄바이의 관광명소에서 가까운 호스텔을 찾을 수 있습니다. Backpacker Panda Colaba is located in a favorite destination among tourist with plenty of options to roam around and be amused by narrow alleys, shopping sprees to the intricate colonial architecture of marvel. 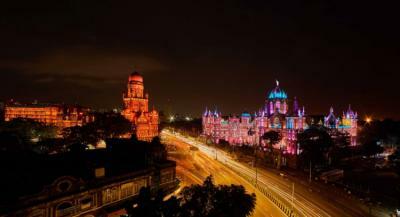 The gateway of India, famous Leopard cafe, must visit Colaba Causeway street market is 5 mins walk from the hostel. 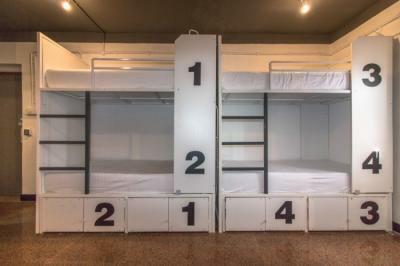 Beds are comfortable and the rooms are spacious. Lots of chill out spaces. They have a well-stocked kitchen for you to use. Area is easy to find and get around. 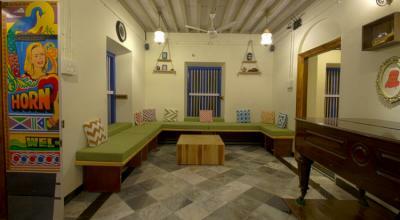 The hostel is conveniently located, close to the Taj there are plenty of shops and restaurants around. Dorms are kept clean and the staff makes you feel right at home. They also have a nice place to hangout by the rooftop at night. Stayed at a Zostel before, so I was confident this one will be beautiful too. And boy, I was not disappointed. The staff, as always, were kind and helpful. The place is super clean. The beds are very comfortable. Wonderfully vibrant common areas. Great activities. Spacious rooms/bathrooms. Can't go wrong! The hostel is at a 2 minutes walking distance from the CST Station[ also known as V.T station .It is surrounded by antique book sellers,art galleries,variety of coffee shops and fast-food outlets.It is within walking distance of all the prestigious heritage sites of south Mumbai. The fashion street is just on the back side-street, Jehangir Art gallery, High court and famous kala-Ghoda junction are a few minutes away.The Gateway of India and Colaba Causeway is a fifteen minute walk. The place is clean and quiet. The staff do their best to make your stay comfortable. Its simple, and with good location. Its a good hostel. Nothing fancy. We stayed for a night. The rooms are clean and the beds are comfy. Staff are friendly and helpful. The property is in a good location. The female dorm is separated only by a curtain right next to the reception so it is a bit difficult to get some sleep when there are a lot of people talking. There is not much area to socialize. The accommodations are pretty basic and cheap. It's okay if you are just looking for a short term stay. 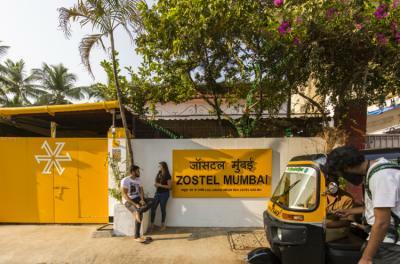 The hostel is set up in 100-year-old cottage located in Bandra – a cosmopolitan, vibrant and accessible part of Mumbai city. You know those places that have this undefinable, but undeniable aura of being welcoming, interesting and intriguing all at once? Well, Bandra is one of those places. Bandra has an old soul, but with bursts of a new, brighter world. It has something for everyone. A cure for every whim. A place for every occasion. It has the sea. And the rocks. And the rock stars. We are 10 mins away from Chhatrapati Shivaji International Airport, and are easily accessible by all local means of transportation. Staff was friendly and they provide all basic amenities at really budget price. Metro is a 5-minute walk, the airport is a few KM away. Many taxis and autos running in front of the hostel so it's easy to get around. 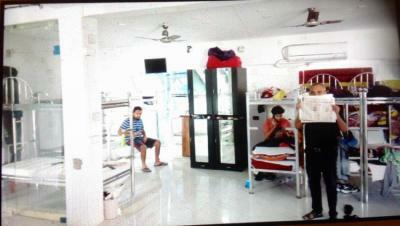 The hostel is located on main Andheri Kurla road near Chakala. The hostel is well connected to the city, which is a must for backpackers. The beds are neat and clean. It is environment friendly atmoshpere. Linking Road is a busiest and liveliest shopping hub of Mumbai. Stayed here for a night. Its near the airport. Quiet and comfortable room/bed. The staff were nice and helpful. Good value. The rooms, beds, bathroom, and common areas were all clean. Price is good. Staff were nice. Atmosphere was relaxed. Good place. The room, bed, and bathroom are clean. The location is great, and the owner is kind and helpful. Located right in the middle of a popular market. Food, shopping and entertainment is just outside the door. Room and shard bathroom is ok, and clean.